Decorating a baby’s room? Why not add a touch of vintage? Surely these little stocking garters on the original card would be a delight. Dating about 1920’s, the sweet card is as cute as the garters. The card features a head of a baby with the border around the card of children toys. Garters are in a pale blue, never been removed from the card. Very nice unused condition. 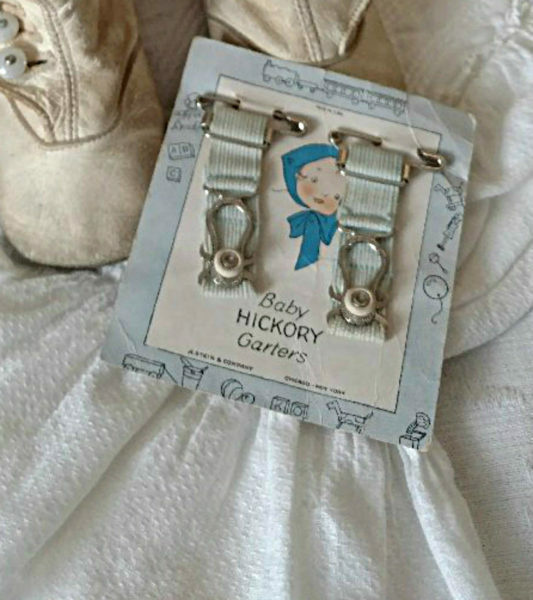 Made by the A. Stein Company, USA under the trade name of Hickory Garters.